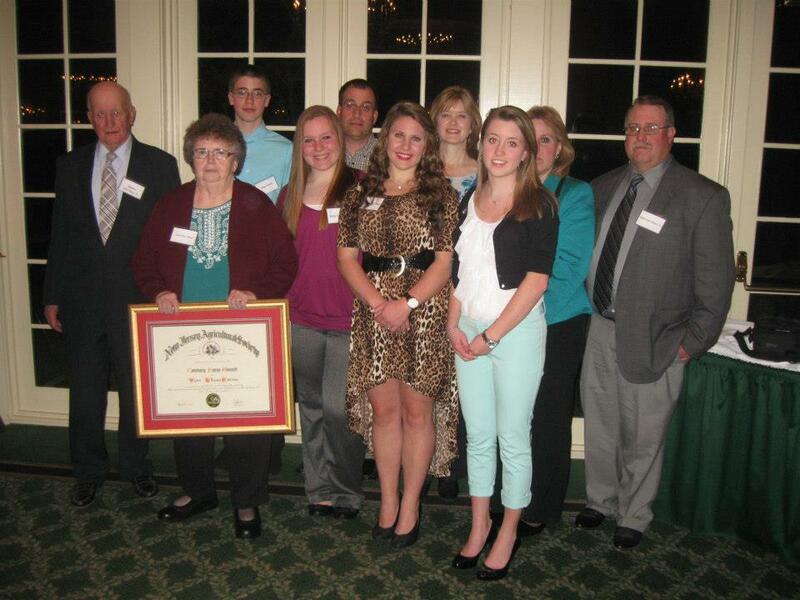 The New Jersey Agricultural Society is pleased to present the annual Century Farm Award. The award is presented to a New Jersey farm that has been in the same family and operational for at least 100 years. Nominations can be made at any time and by completing a nomination form and returning it to the New Jersey Agricultural Society. The award is presented at the Society’s Annual Dinner Gala typically in March or April. Nominations only need to be made once and then the nominated farm will remain in our Nomination Pool. Please submit your nominations using the form below. Paul and Lizzie Hauser immigrated to the United States in the mid 1800’s from Germany and settled in New Jersey. Their youngest son, George, was born in 1878 on the original Hauser homestead. In 1925, George’s eldest son Clarence E. Hauser married Hazel Ervin, the daughter of another prominent farm family in Old Bridge, which at that time was Madison Township. The Ervin family can trace its roots on the farm as far back as 1744. This union produced three children and a thriving fruit and vegetable operation. Clarence and Hazel’s eldest son, Clarence G., continued in his father’s and grandfather’s footsteps keeping the farming tradition alive. In 1950, Clarence G. married Marie Keating and they had three children, John, George and Theresa, all of whom still have ties to the farm. When Clarence passed away in 1986, Marie was instrumental in continuing the farm operation. In 1913, Henry Von Thun purchased 90 acres of land in the heart of Middlesex County. He and his son, Henry M. Von Thun, worked the farm as shares growing primarily potatoes and grain. In 1925, Henry Von Thun passed away and Henry M. became the sole owner of the farm which he worked alone until 1961. In 1961, Henry M. Von Thun formed a partnership with his son, Robert Von Thun (Sr.) and continued to grow potatoes and grain. They also rented additional land to accommodate the growing demand for their crops. John runs the day-to-day farm operation with his son, John Michael who represents the sixth generation on the same farm. Presently, Hauser Hill Farms is made up of about 50 family-owned acres and about 250 acres of rented ground. The Hauser’s have continued the rich family tradition of growing quality fruits and vegetables; including everything from “A to Z – Apples to Zucchini”. They have a farm stand at the home farm and participate in as many as eight local farmers’ markets each week. The farm is a true family affair, enlisting help from countless nieces, nephews, cousins and neighbors. Theresa manages the farm stand, Marie still works at the stand occasionally, while also making homemade jams, jellies and the best pies you’d ever want to eat!! John’s wife, Carolyn, or Midge as she’s known, teaches middle school Spanish, and manages the farmers’ markets from May to November, as well as serving as Secretary of the Middlesex County Board of Agriculture. John has been honored as the 2005 Middlesex County Farmer of the Year, 2010 New Jersey Vegetable Grower of the Year and the 2012 New Jersey Fruit Grower of the Year. He is a graduate of Delaware Valley College. John also serves as the President of Browntown Bus Service, Inc. which was founded by his father in the 1950’s. Robert Von Thun (Sr) married his wife, Sue, who also began helping on the farm, in 1965. The next year, Henry M. Von Thun retired from farming and Robert became the primary owner of the farm along with Sue. Robert and Sue had three children, Robert Jr., Dorie and Ronald. In the early 80s, Sue Von Thun decided to plant a small patch of pumpkins near their farmhouse in view of the road. She harvested the pumpkins and offered them at an honor stand out in front of the farm. People loved the idea of picking up the pumpkins directly from the farm and the patch spread to an additional field in the following years. As the children grew up, it became a job for them. After a few years, school bus loads of children would come to the farm and pick pumpkins. Robert Von Thun, Sr. retired in 2004. That same year, the farm was put into farmland preservation to ensure it would remain a farming oasis in the midst of an ever growing community. John’s daughter, Patricia, worked on the farm for many years before beginning her career as an oncology nurse at Robert Wood Johnson University Hospital. Patricia and her husband, John, welcomed their first child, Kayla Marie, this past November. 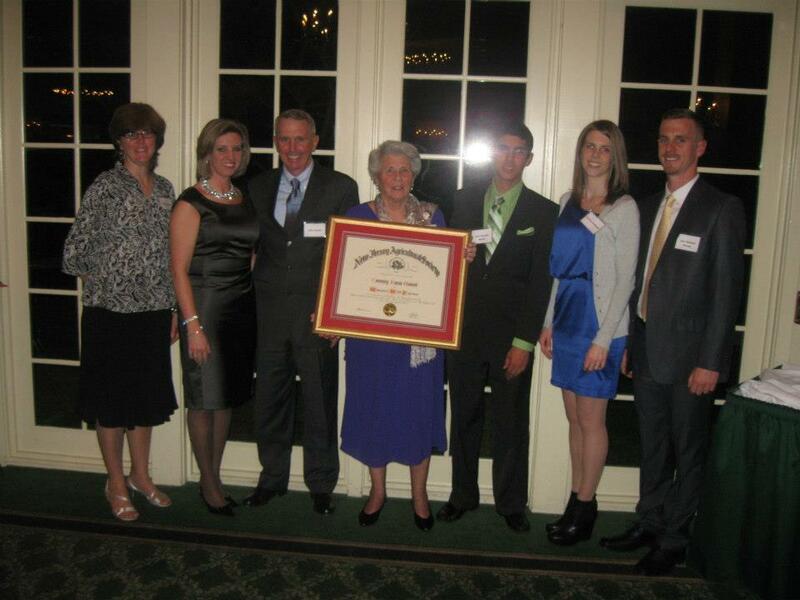 The Hauser Family is proud to continue and to be counted among the rich tradition of family farms in Middlesex County. Since 2004, Robert, Jr. and his wife Cindy have grown the agri-tourism and education aspect of the farm to include school tours and activities, a corn maze, and within the last few years have added a Community Supported Agriculture (CSA) offering to customers. To this day, Robert Sr. and Sue own the farm and Robert Jr., and Cindy, their three children, Tim, Kristie and Kellie and Dorie (Von Thun) and Greg Knott and their children, Breanna and Brian continue to work together in keeping the Von Thun Farms a successful operation as 4th and 5th generation farmers.